In case you missed this article from two weeks ago, I was interviewed by journalist Alissa Quart for an article about full spectrum reproductive justice work. These doulas partner with clinics directly and accompany women to their operations, helping to alleviate pain through techniques like massage, acupressure and breathing. One of them is Ms. Pérez. When I met her in a Lower Manhattan cafe, she explained how she and others like her volunteered for years at hospitals and clinics, accompanying many women whom they met in waiting rooms for their abortions. Ms. Pérez speaks Spanish, and sometimes she would translate as well. “I want to push back against the idea that birth is over here in this corner and abortion is over there in that one,” she says. This is by no means the first article I’ve been interviewed for over the years, and not even the first that was maybe going to be in the NYTimes. That kind of media coverage comes with the territory of being easily found by googling “abortion doula”–mostly a product of how long this blog has been around (7.5 years!). Also in the interest of full disclosure on how the media world works, Alissa and I have a mutual friend who also suggested she talk to me. But it’s clear that the work of full spectrum doulas is gaining some momentum, and some media recognition. This NYT article is a big one, simply because of the level of visibility that such a publication has. And I won’t lie, there was a thrill in picking up an actual physical newspaper and seeing my name, and quote, in print. 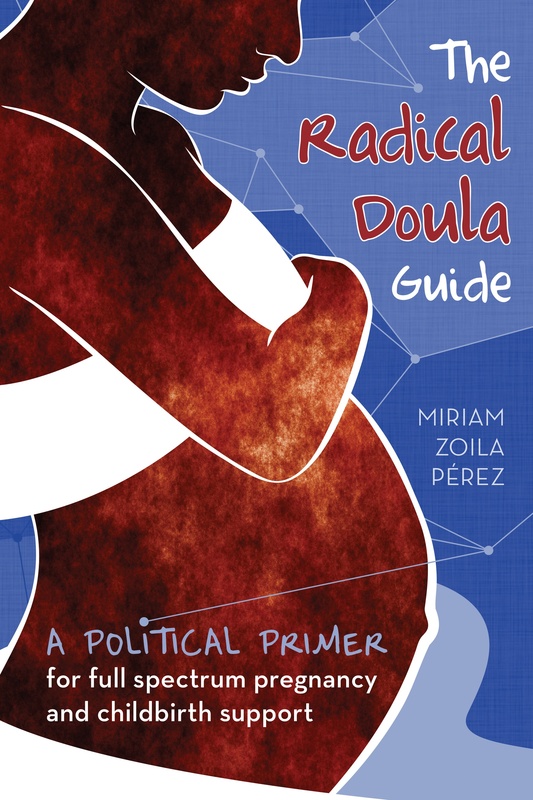 Just a few days after the NYT article went live, another article about abortion doulas, this one featuring the work of Lauren Mitchell, a co-founder of the NYC Doula Project, was published. And there are more to come (I’ve already gotten another interview request from a journalist wanting to write about the topic). I always offer additional suggestions of people in this work to talk to, usually suggesting other doulas of color, and I’ll continue to do that. This movement has been fueled by the labor (pun intended) of many, and it’s important to me that my blog, and writing, don’t overshadow the many people who’ve contributed and led this work. It’s exciting to see the fruits of so many years of work from so many of you turning it to legitimate attention. I do think the connections between abortion and birth highlighted in the NYT article are radical and affirming and have the potential to counter a really damaging political environment that tries to drive a wedge between experiences that are part of our lives. She wrote to ask if I was misquoted, and talked about the many midwives (herself included) who are indeed pro-choice. I know, and am really happy to know, that there are many in the midwifery community who are supportive of all reproductive choices, including abortion. Midwives are abortion providers in many places of the world, including in California now that legislation allowing midwives to provide some abortions passed last year. What the first half of my quote was referencing was my experience in the birth activist community, particularly in 2005-2009, where I never heard abortion referenced overtly, particularly in birth activist writings or at the MANA conference I attended in 2005 or 2006. While the political orientation of midwives when it comes to abortion varies widely, there has been a history of silence on the topic, I assume in an effort to avoid conflict and focus on common ground between politically disparate groups. There is a contingency of midwives and doulas with strong religious views that are anti-choice. I in no means want to minimize the amazing work of pro-choice and full-spectrum midwives, but much of what lead me to start this blog was that silence on issues like abortion (as well as race, sexuality, immigration, gender and more). I’m excited to see these topics being addressed in a more overt fashion across the birth activist world, and hope we’re moving closer to providing truly comprehensive and non-judgmental support to folks throughout their reproductive lives.